If you own a business with a large inventory, a public warehouse may be greatly beneficial to you. Essentially, a public warehouse stores a variety of business’ inventory and sometimes even offers unique storage solutions (for humidity control, cold storage, freezing, etc. ), inventory tracking and management, logistics for packaging and distribution, and other supplementary services. As opposed to a private warehouse, which is owned by a single business with its own inventory, a public warehouse may store inventory for a variety of businesses in one place. 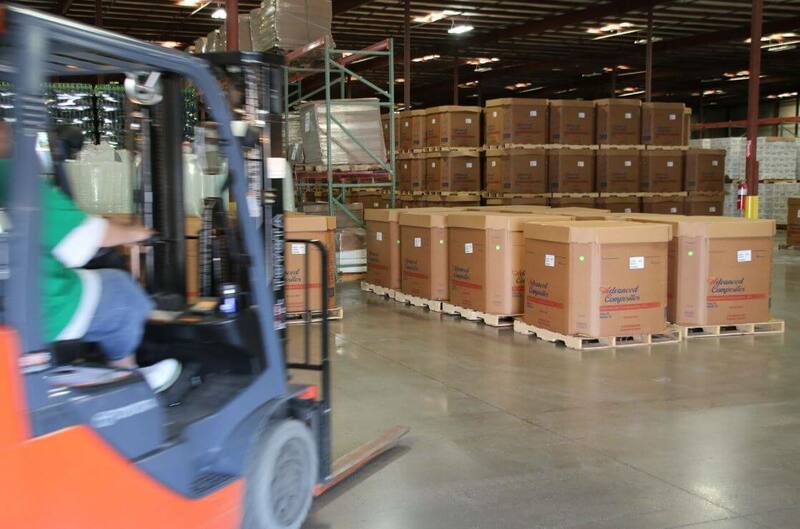 This saves money for each business while providing effective storage and distribution services. No matter what your product is, you’ll need a place to store and manage it before packaging and distribution to your customers and clients. Public warehouses offer the perfect solution. For many businesses, using the public warehousing services of M&W has proven much more effective than investing in a private warehouse. At M&W Logistics Group, Inc., we offer multi-client public warehouses for a variety of business types. We have the necessary staff needed to carefully manage our operations and can either act as supplemental storage or sole storage for your company’s inventory. We can help you on a short-term, long-term, or seasonal basis, and we are proud to work with a variety of industries, including automotive, food, retail, industrial products, etc. Multi-client facilities allow you to cost share with other customers, effectively saving you money. To learn more about our public warehousing options, go here, or head here to request a quote! With thanks. A good amount of postings. Here are some hyperlinks to sites that we link to mainly because we believe they may be really worth visiting. We came across a cool site which you may possibly enjoy. Take a look if you want. Very handful of sites that transpire to become in depth beneath, from our point of view are undoubtedly effectively worth checking out.